lessness would have you believe, it’s not because they are stupid. At the time of migration, she had been but a mere child studying in seventh grade also at Raithane School, making her about 14 years old. As harrowing as my own experience in Qatar was, I cannot imagine what the child must have faced/experienced/endured! In the months since I have been back, I have discovered that stories such as this isn’t the exception. This has also been attested to by Pete Pattisson’s findings. While in jail, I also found someone, who, at the time, I thought was a 19 year-old–because I couldn’t imagine a minor being in there, though he looked younger. But since returning, I have been more inclined to think that he might have been a minor. I don’t know whatever happened to him, and I wonder if I’ll ever know…anything about him. But I digress…. Returning to Parvati and her family, forget about the life they envisioned for themselves, she and her family struggle to even cover her own educational expenses. At the current rate of exchange of approximately Rs. 98=US$1.00, the total cost amounts to US$94/year as a 7th grader. If you are interested in sponsoring her, please have a read of our sponsorship policy first and then follow the instructions therein. Please also inform me by email at dorje[at]dorjegurung[dot]com or dorje[dot]gurung[at]cminepal.org. 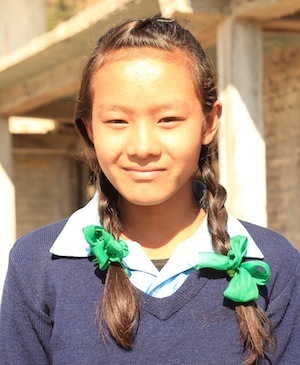 An anonymous sponsor has agreed to see through Parvati’s education! Thanks a bunch! She passed her grade 7 exams and is currently in grade 8! I have just heard from her sponsor saying that unfortunately, for personal reasons, they can no longer continue to support Parvati’s education. Would you like to support her? This academic year, as an 8th grader, her cost would be US$103.50 if you decide to do so. Click here to deposit the funds in our PayPal account. 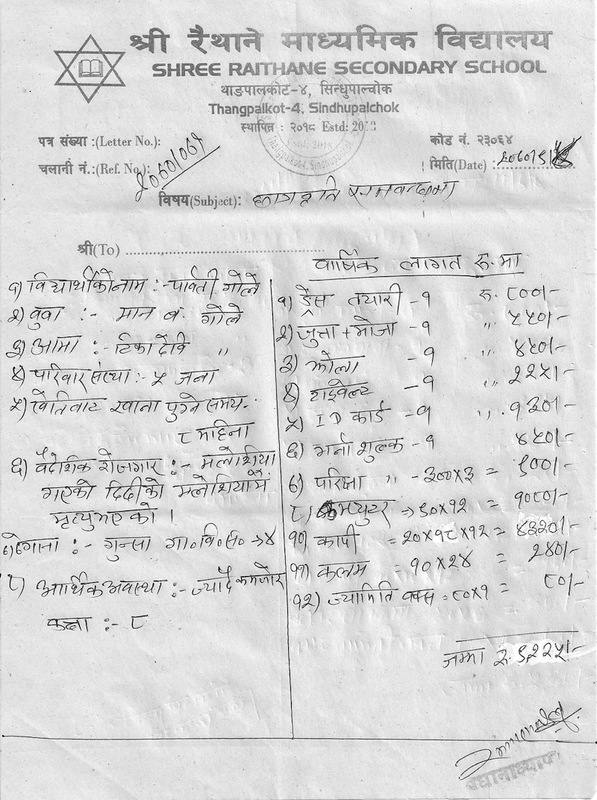 Let me know that the fund is for Parvati by using the Contact Form on the right. Ingrid Prytz Ohm, a school friend from my years at the United World College of the Adriatic has stepped in and agreed to see through Parvati’s secondary school education. Tusen takk Ingrid!! She passed her grade 7 exams and is currently in grade 9! It’s been almost two years since the last update. Parvati stayed on in school in spite of all the difficulties, and completed her studies. She is currently doing higher secondary school education in Kathmandu.